Please remember all of the places mentioned here are places of residence found in census returns, rather than actual places of work. The records for 1861 are misleading. Sadly, the National Archives does not have a number of census records for that year, which includes the area around Worthen, where a number of the lead miners are to be found in 1851. As you will see, that has reduced the number of lead miners quite markedly. For the first time, one or two iron ore miners have been identified, in Staffordshire. 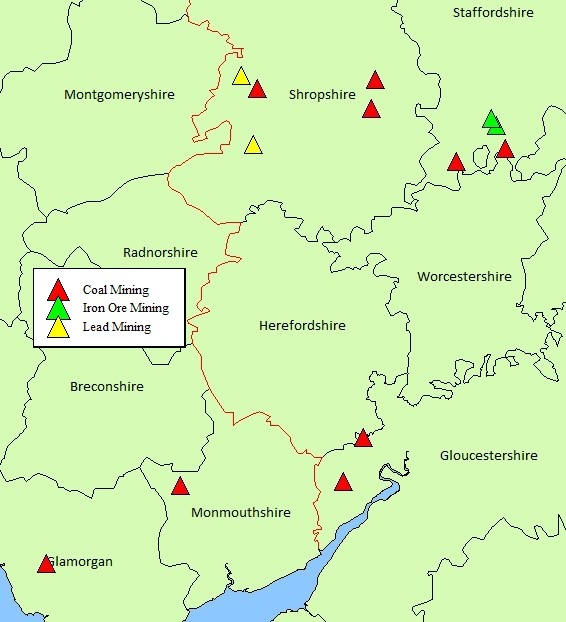 Overall, the numbers of records has affected the review of places, but using those that are available there is little difference in the areas from the 1851 records, with Gloucestershire, South Wales and Staffordshire providing much of the coal mining industry as before. The numbers held in this census have returned to those sort of levels seen in 1851, with no great missing sections this time to affect the totals. 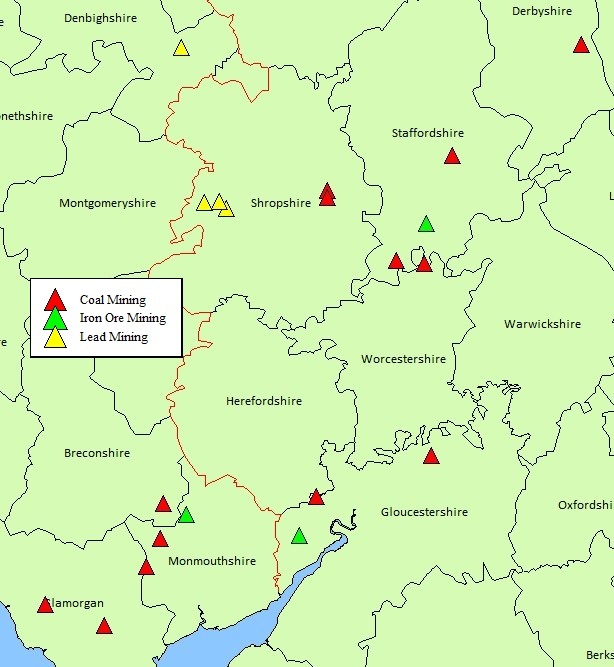 As the details below show, there is an increase in the coal mining in the Forest of Dean, Gloucestershire, and also in South Wales generally - a sign of things to come. For the first time, there are two entries further north than Staffordshire, namely Esclusham in Denbighshire (where there was in fact lead and iron mining) and Codnor on the Nottinghamshire/Derbyshire border. There are still no Preece entries in the Lancashire coalfields, this will finally be corrected in 1881. Rg10/2944/64 James Preece Willenhall STS No 4 St Stephens Court M 20 Ironstone? Miner Broseley SAL Lodger John Woodnorth?